The apartment consists of 2 bedrooms, the first bed and the second with a double bridge with the ability to transform it into a double bed or two single beds. The living room, with open kitchen, is equipped with a sofa bed with the possibility of having two beds. The entire apartment is air conditioned. In the bathroom there is a bathtub with the possibility of getting a shower or bath, washbasin cabinet with illuminated mirror, toilet and bidet. Zusammengefasst: Super Lage, gute Ausstattung der Wohnung, saubere Wohnung und nette Vermieter. Außerdem hätte ich nicht gedacht, dass ich immer einen Parkplatz fast direkt vor der Tür bekomme. Wir waren 4 Personen, zu sechst könnte es in der Wohnung schon relativ eng. War aber ein super Urlaub! 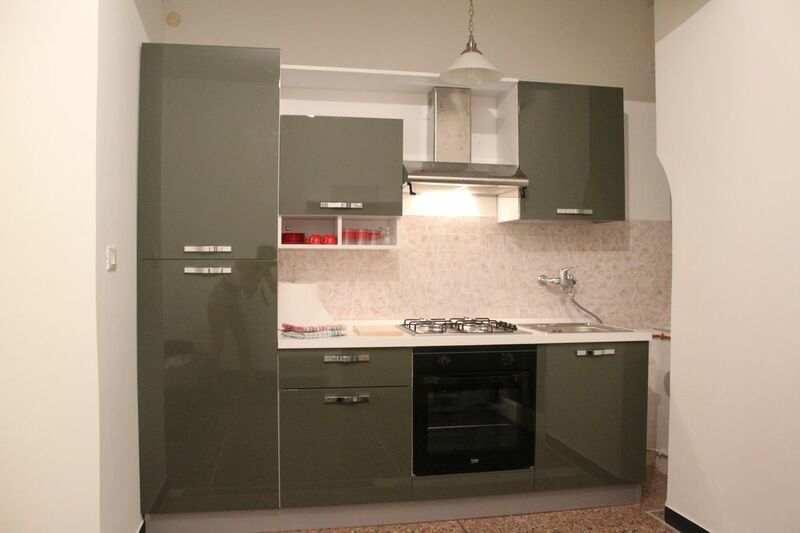 appartamento accogliente e pulito, proprietario gentilissimo e disponibile!! Saubere Wohnung mit Wohnzimmer, 2 Schlafzimmer, Bad und Küche mit einem Doppelbett und zwei Einzelbetten plus einer Schlafcouch. Bikes können in einem Fahrradkeller untergebracht werden. Kontakt mit Efrem läuft über WhatsApp. Nice Appartement. Very good comunication with the lessor. Top location between finale ligure and finalborgo. Supermarket a few steps away. No Wifi in the Appartement, but at market place there are lot of free wifi zones. Efrem our lessor is a friendly person. Everything was uncomplicated. Kitchen very new with all you need to stay and a good storage room. Appartamento a pochi minuti da Finalborgo e Finalmarina. Via laterale silenziosa, pochi problemi di parcheggio. La casa è condizionata quindi anche in giornate calde è molto confortevole. Gli ambienti sono spaziosi, la cucina praticamente nuova. Un' ottima soluzione per trascorrere delle belle vacanze.